I recall the quick animosity that developed and that we all saw very soon after David Madore was sworn in, along with Tom Mielke after the 2012 elections. 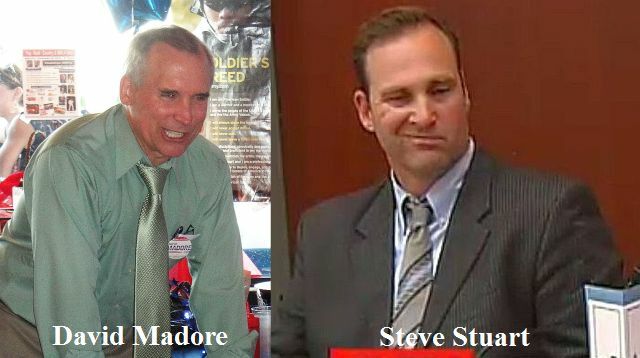 We saw how for many years, Mielke was the lone voice of conservatism on the County Commission, often sidelined by the votes of Democrat Steve Stuart and Marc Boldt, allegedly a Republican. We all grew tired of the one-sided votes and after funding candidates previously that didn’t win, Madore ran himself in the 2012 election and won. That relegated Stuart to the lone Liberal on the County Commission and as expected that did not set well with him after so many years of calling the shots.